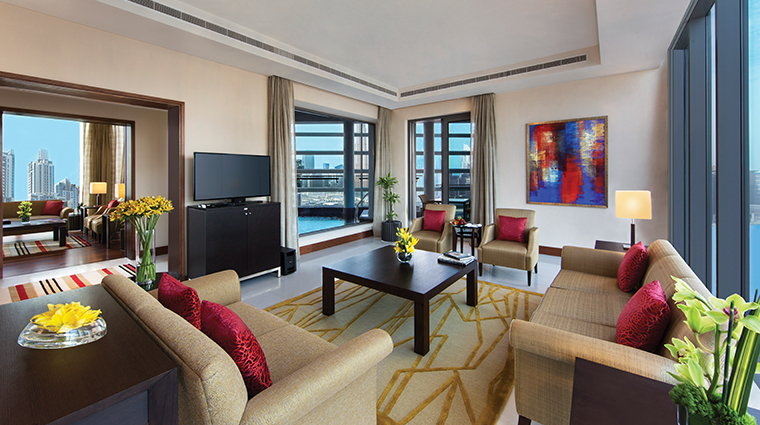 It would be easy to pigeonhole The Oberoi, Dubai as a business hotel, with its prime spot in Dubai’s Business Bay. But its bountiful amenities make the property just as appealing to leisure travelers, too. 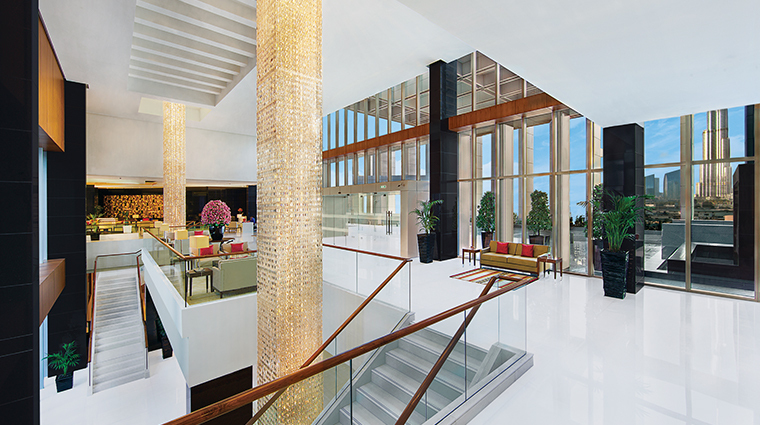 The hotel’s 252 modern rooms and suites are like a home away from home. Bright yellows, reds and vibrant floral arrangements accentuate the earthy tones of its smart décor. Black-and-white photographs of Indian palaces adorn its stately corridors. The sanctuary-like spa performs authentic Ayurveda-inspired treatments, and its dining venues serve a range of international cuisines, from Indian to Peruvian, with something for everyone. 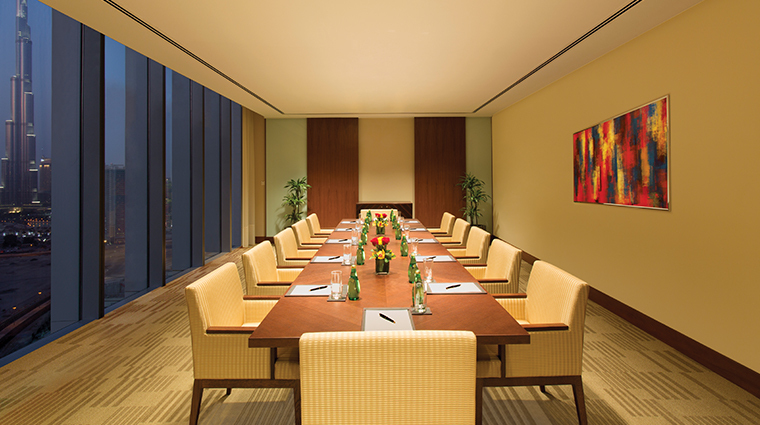 But most importantly, The Oberoi stands an exemplar of the Indian hospitality ethos in the Middle East. 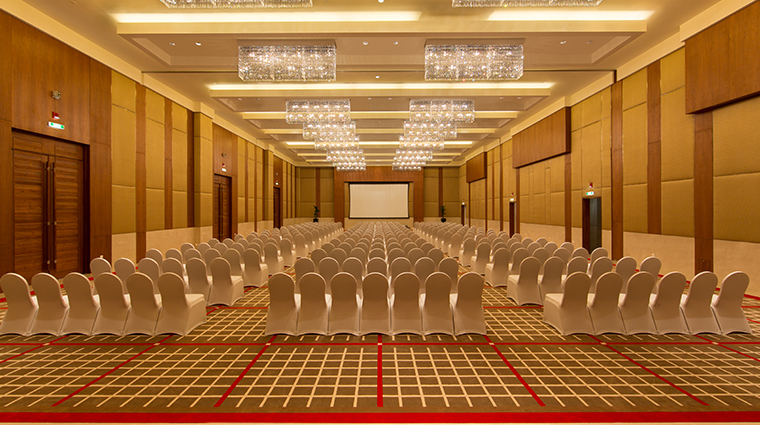 With an on-call butler for every guest and a ready-to-please staff, the hotel makes all feel welcome. 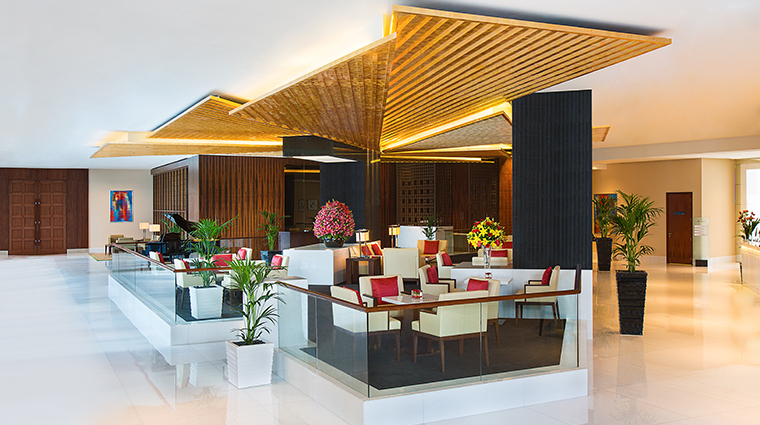 The attention to detail and warmth-exuding service stands out, even in a city where luxury hotels abound. You’ll notice it from the moment you breathe in the pleasant jasmine scent in the bright, busy white marble lobby with its glittering handcrafted chandeliers and gold-leaf ceiling, and sip on pineapple juice kindly offered by the smiling attendant. Don’t miss a chance to indulge in the spa. The treatment rooms come with a private relaxation area, an en-suite steam room and shower. And the Ayurvedic massage room features shirodhara hot oil facilities for a calming, stress-relieving service. While many hotels provide pillow menus, The Oberoi, Dubai goes a step further. A box holds detailed descriptions and mini samples so you can feel what a duck down, buckwheat, memory foam or hypoallergenic dual-zone pillow is like before requesting one. Every room comes with a butler who is at your beck and call 24 hours a day. After a day of business meetings, unwind in the large, temperature-controlled terrace pool, surrounded by the impressive architecture of the area. A pool attendant will supply you with a cold or hot towel, sun tan lotion and a refreshing popsicle. 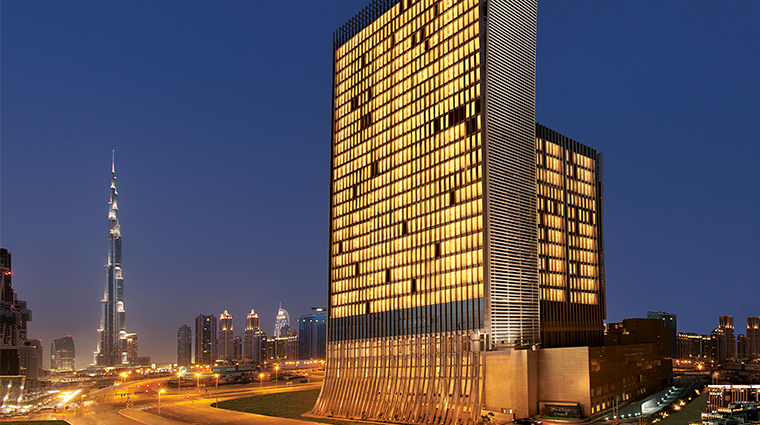 The hotel’s location in Business Bay — close to Dubai International Financial Centre and just a 20-minute drive from Dubai Marina and old Dubai — is convenient for both business and leisure travelers. 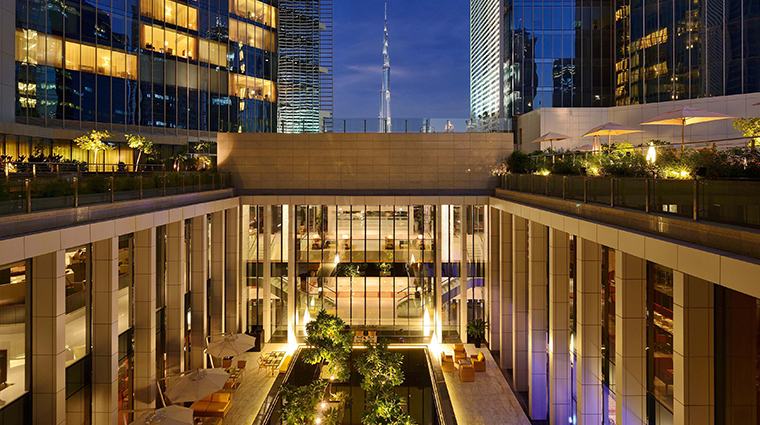 The outdoor yoga deck, located between the two towers of the luxury hotel, is a quiet space to practice your poses in the early mornings and evenings. Designed with warm tones, timber flooring, high ceilings, luxurious fabrics, vibrant artwork and large floor-to-ceiling windows that bring in abundant natural lighting, the rooms and suites are bright, homey and spacious. 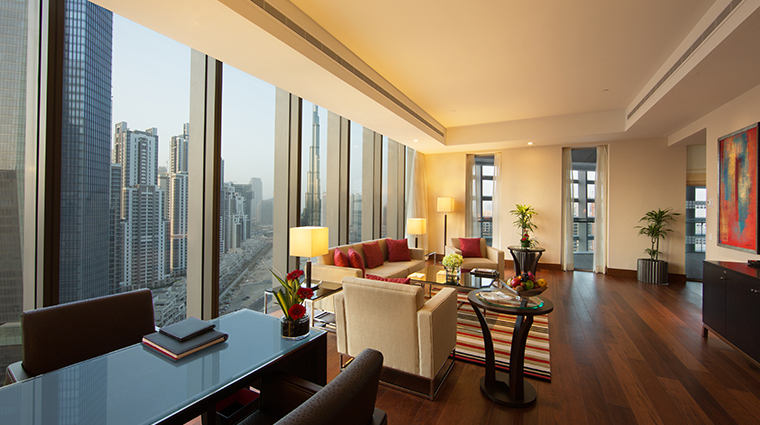 Rooms and suites offer vistas of the bustling cityscape, pool and Business Bay canal, as well as architectural marvel the Burj Khalifa, while the 2,530-square-foot Presidential Suite affords all-round panoramas and comes with its private terrace plunge pool. 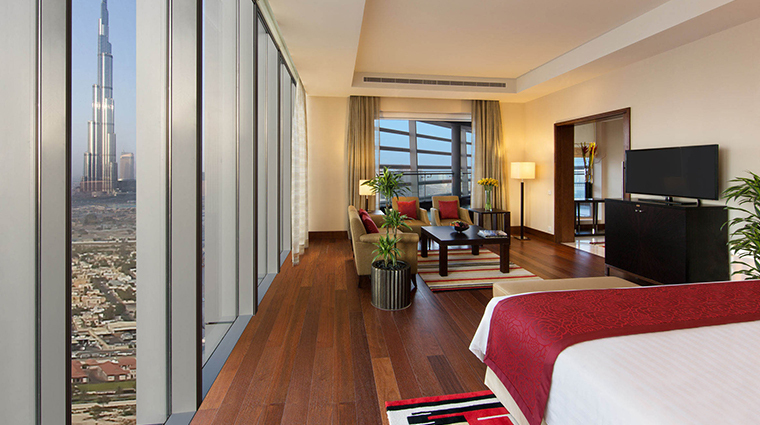 Accommodations are equipped with LED TVs, Nespresso machines, a business desk and a spacious walk-in wardrobe. 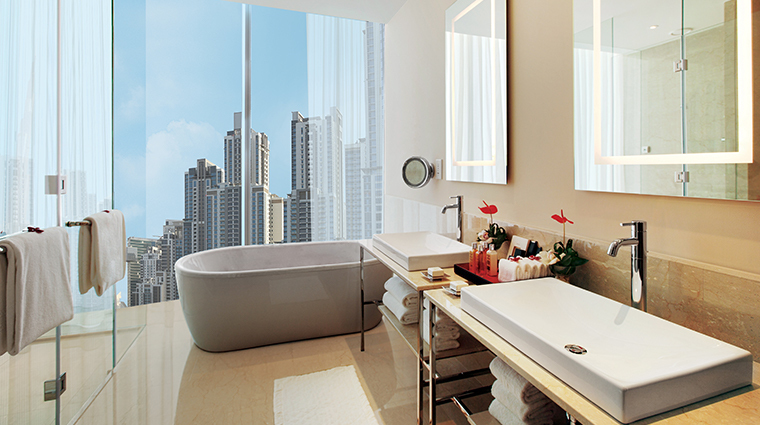 In the bathrooms, you’ll find a separate bathtub, shower and dual vanity. 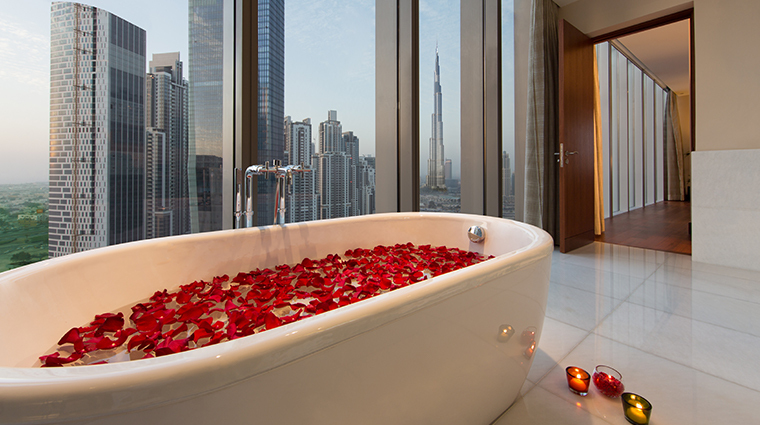 They have city views and are stocked with custom toiletries. 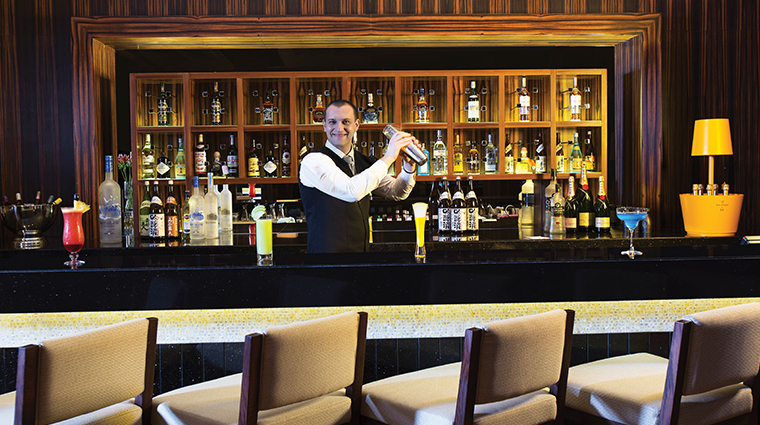 At the Lobby Bar, sit back and let the expert mixologist prepare a classic Old-Fashioned or pour a vintage wine. Cigar aficionados will appreciate the selection of Cuban cigars. 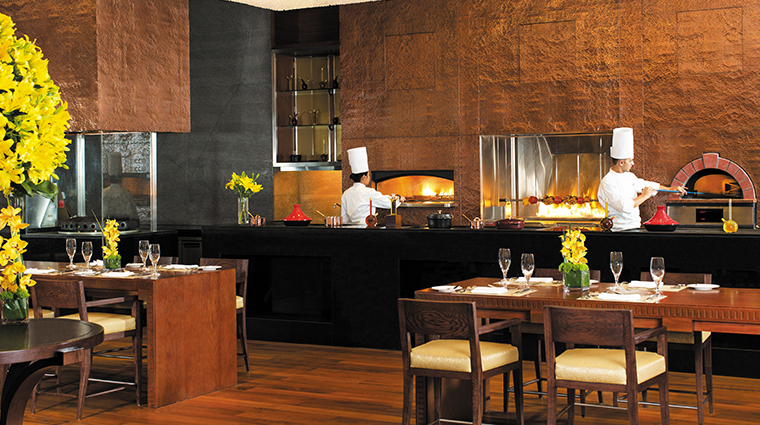 At Ananta, partake in the rich culinary delights of India through traditional flavors served with a creative, contemporary flair. Watch as talented chefs prepare your meal in a live kitchen, and try dishes such as mushroom coffee, a wild mushroom soup with truffle foam and Périgord black truffle, and the Ananta classic dal makhni ravioli. Choose your dining experience at Nine7One: indoors, where chefs whip up dishes in a theatrical live show kitchen setting, or outdoors in the courtyard around frangipani trees. The international restaurant also hosts a festive Friday brunch, and themed nights on Mondays and Thursdays. Sample authentic Italian cuisine with an eclectic take at this trendy, contemporary restaurant where the smart, industrial décor and Italian-inspired touches will charm you as much as the nonna-approved food.